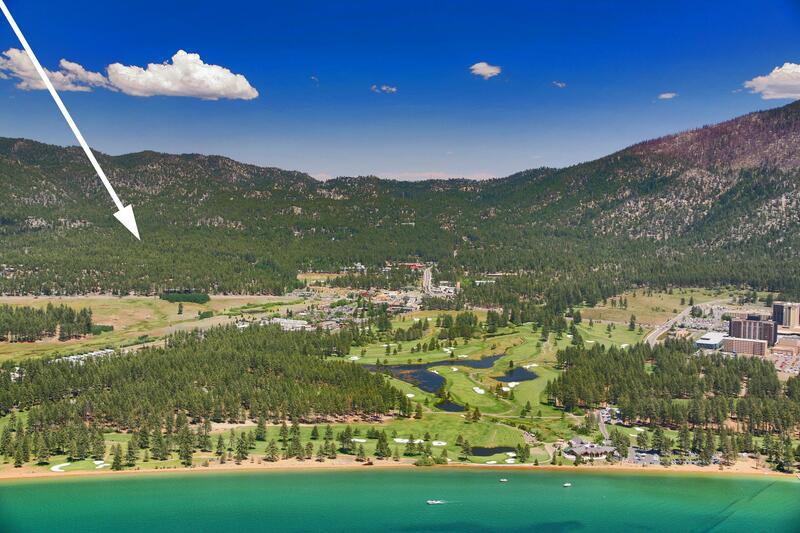 Experience the epitomy of a true Tahoe Luxury Lodge. This 5400 square foot masterpiece took a few years to build as no expense was spared and no detail passed over. Walk into a large expansive great room with enormous vaulted ceilings. You are immediately drawn to the meticulously designed log accents and staircases designed from restored wood. Great room has a Waterfall, Fireplace and entertaining space for the grandest of events. Enormous wrap around sectional in front of large 75'inch Flat Screen TV with 16 seater dining table. Great open floor plan allows for TV viewing from kitchen, dining room and family room area. Large gourmet kitchen boasts top of the line Viking and GE Monogram appliances. Tons of granite countertop space for the best in entertaining. Two more additional family rooms with TV's provide additional lounging areas for the largest of groups. Game room with Pool table, Ping pong table, additional kitchen facilities downstairs. Many decks off the house allow for outdoor entertaining. Hot tub on top floor deck, outdoor dining table with seating, chairlift seats, reclining lounge chairs. Flat Screen TVs in every bedroom. This Luxury Tahoe Lodge is perfectly located close to the lake, casinos and Heavenly but is still secluded with tons of privacy in the woods set around over 1 acre of privacy. Ask if Discounts can be applied, discounts done in slow season and when doing more than the min night req. CLICK on your dates on the calendar to get exact rate quotes. CLICK "Book Dates Now"
HOLIDAYS: Higher rates and Min Night stays apply for all holiday time frames. Perfectly located around 2 miles to the lake/beaches, downtown South Lake Tahoe/casinos, Heavenly. SUPPLIES: All linens provided. TP/Paper Towels provided. Bath soap in each bathroom. SECURITY DEPOSIT: All rentals require a security deposit that will be "frozen" and only authorized but will not be charged unless damage or abuse occurs. The minimum deposit is $1,000.00 but may be made higher due to special circumstances. Any damages to the unit resulting from misuse, neglect abuse or theft by the guest or any member of his party or invitee will be charged to the security deposit.